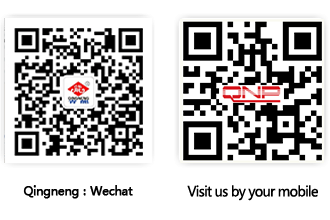 Technology - Shandong Qingneng Power Co., Ltd.
QNP concentrates on research and application of advanced technology and product differentiation. We also conduct extensive research and development on low temperature medium steam turbines for full use of low temperature exhaust heat for heat recovery from low temperatures of eighty degrees centigrade to three hundred degrees centigrade. QNP steam turbines utilize optimized blade profiles, meridian profiles and gaps between stages to improve flow structure, as well as optimized gland seals and increased rotation speed to enhance energy conversion rates. Advanced DEH, TSI and ETS systems are used to monitor and protect the operation process. QNP has carried out research on High Speed reaction Steam Turbines, with speeds up to 15000 rpm and inlet steam pressure up to 15 MPa. The rotor is a one-piece forged, single row curtis stage. The low pressure flow path utilizes efficient twisted blades. The equipment is of modular design, providing advantages of higher efficiency, smaller size and lighter weight. We believe in recycling and regenerating the precious resources we have with less carbon emission and a reduced dependence on fossil fuel. QNP’s steam turbine can be used extensively with various fuels including Bio mass such as fallen leaves, straws, rice husk, bagasse, palm shells and even Municipal Solid Waste. The waste heat produced from Steel Plants, Glass factories, Cement Plants and Chemical Industries can also be used to generate power. QNP Steam Turbines can also be used in process industries such as Paper Mills, Sugar Mills, Food processing and Pharmacies to utilize heat for power generation as CHP. Our Steam Turbines can also be used for sea water desalination and power generation in coastal areas to maximize the benefits for our customers. QNP Generators have higher efficiency and consume less raw materials such as iron and copper after optimization of the electromagnetic field, air path and rotor structure. There are strict quality control procedures for key processes such as blanking, machining, assembly and inspection. They also feature easy maintenance and longer life. Our dust-free Generator workshop continually controls humidity and temperature for Generator Stator insulation wrapping. The Generator Material Test Center guarantees material of the highest quality. High speed dynamic balancing tests and dynamic ac impedance tests are carried out on Generator Rotors before delivery to check the mechanical strength of the rotor and guarantee the turn-to-turn insulation of rotor winding. Our Long distance monitoring center is equipped to monitor, diagnose, serve and manage the units delivered.